The fort overflows with metallic clanging and brutal war cries, both sides prove formidable in battle. The Norse warrior joins the conflict with no regard for fear, upper legs wisely defended by the Odomar Viking Leather Tassets. These thigh guards were fashioned by hand with mobility, comfort, and style in mind. Scaled segments, antique-brass plated rivets, and flared edging supports these aims, while enhancing a strong defense. Nordic vine patterns adorn each tasset, completing the Viking warriors striking appearance. 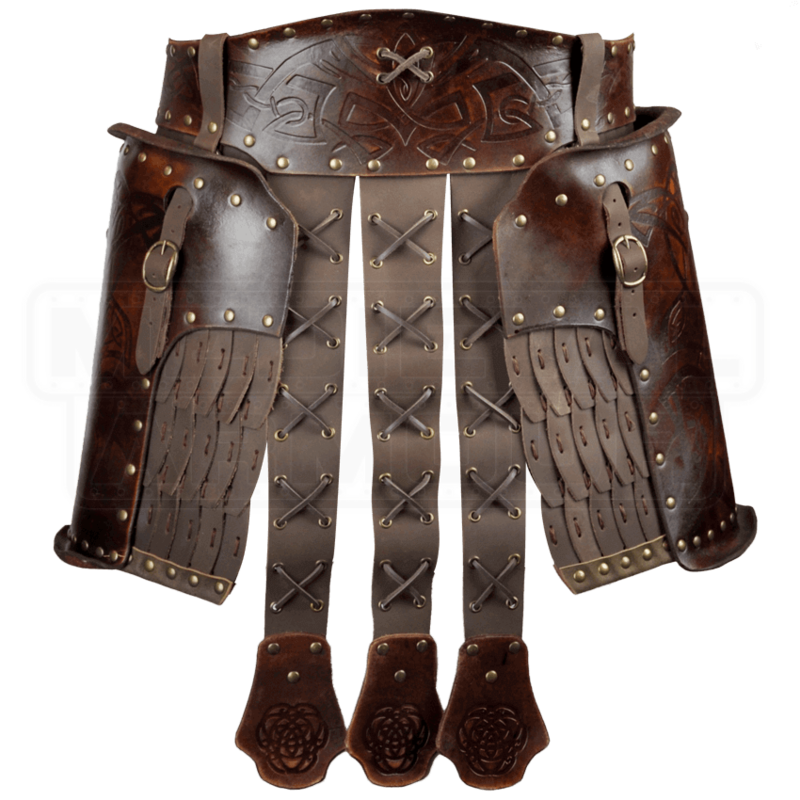 Step confidently into your next LARP event with the Odomar Viking Leather Tassets to complete your amour. 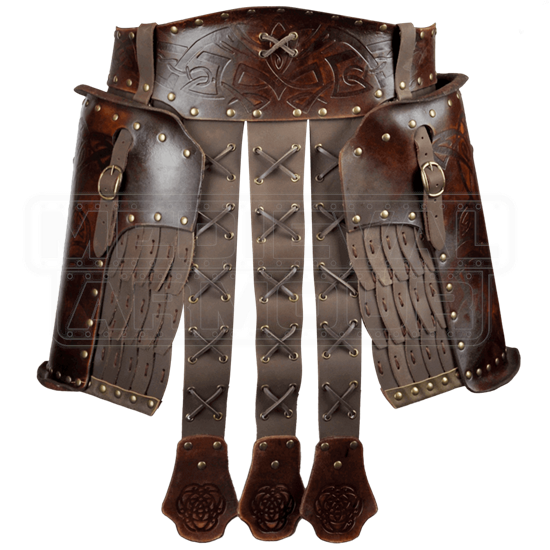 The tassets are pictured above with the Odomar Viking Leather Belt (RT-244), which is not included but can be purchased separately on the site.